It costs between $1.1 million and $4 million a year if you want to buy one of those flashy, digital or neon billboards that light up New York's Times Square, according to the Wall Street Journal. 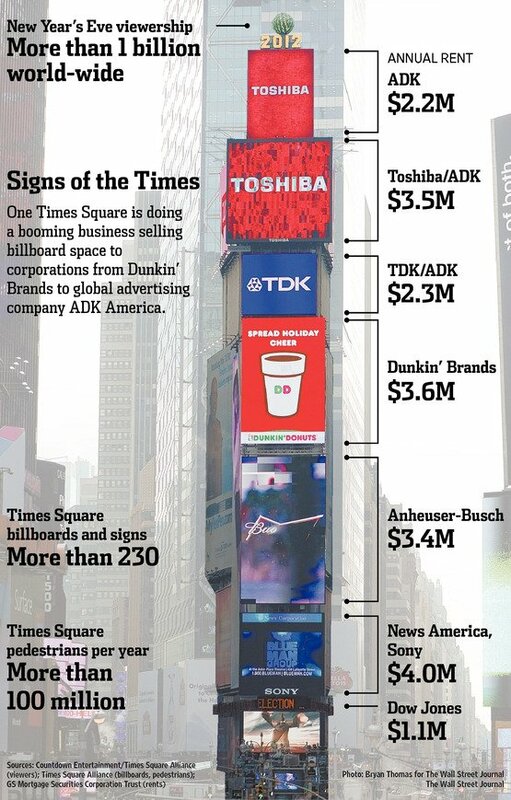 The owners of 1 Times Square -- the tall tower in the middle of the intersection of Broadway and Seventh Avenue (it's not actually a "square") -- make $23 million a year from the billboards that cover it. That makes it the most expensive set of billboards in the entire world. It's relatively cheap, too. A spot in the Super Bowl costs up to $3.8 million, and that only lasts 30 seconds. 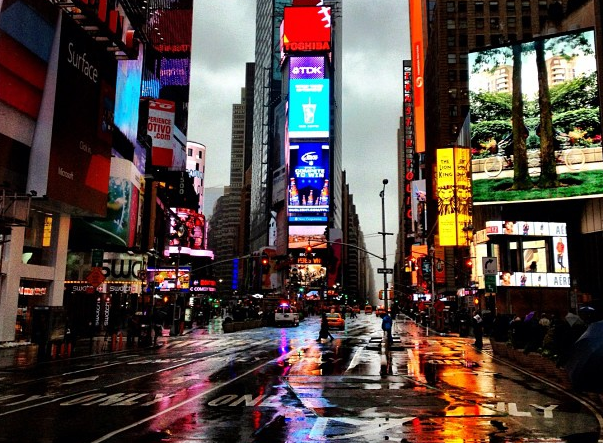 Times Square signs don't just get eyeballs from tourist traffic in the square itself. They also make tons of incidental appearances on TV shows.